Eco Bananas proudly supports Mind for Life. Mind for Life is a charitable organization aiming at empowering individuals in underprivileged communities to acquire the tools to create real and tangible change in their lives, thus benefiting their communities and unleashing progress onto generations to come. 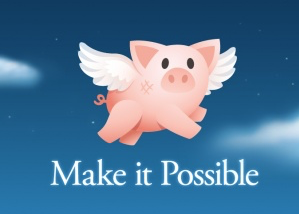 Visit www.mindforlife.org for more information. Ecoganic is privileged to be supporting Daley Nutrition in nutritional education in Victorian Schools. Pacific Coast Eco Bananas has been a long term partner supporting reef research. Ecoganic supports Sea Shepherd crew with Eco Bananas during maintenance. 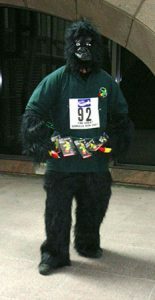 Pacific Coast Eco Bananas is a member of The Gorilla Organisation, Dian Fossey legacy which is dedicated to protecting and saving endangered Gorillas. 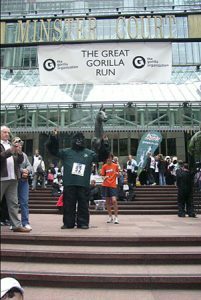 In September 2007 Pacific Coast Eco Bananas proudly sponsored Raynor Sturton from Queensland to run the “The Great Gorilla Run” See photos. 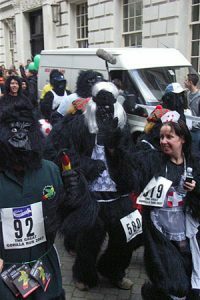 Proudly supporting Dian Fossey Gorilla Foundation. Copyright © 2019 Pacific Coast Eco Bananas. All rights reserved since 2001.